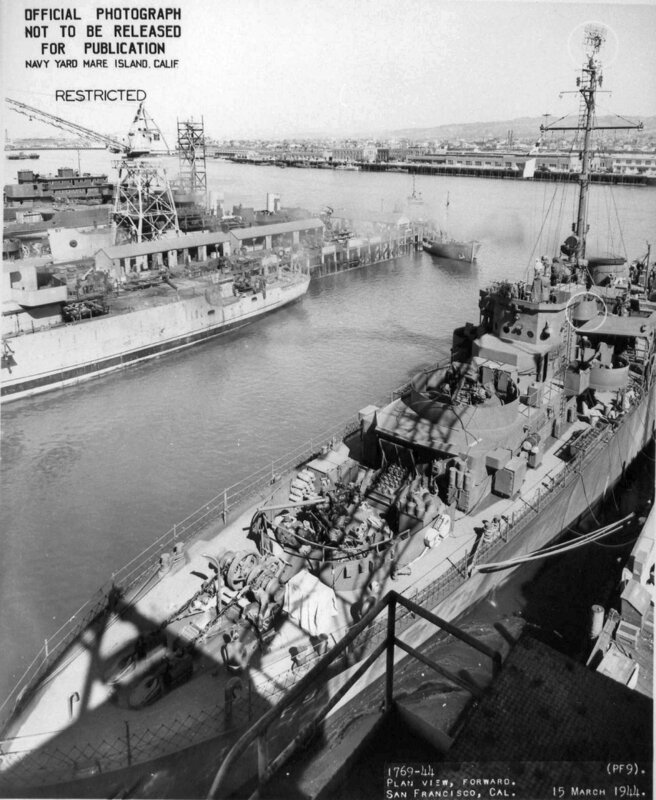 Sold for scrap 1 April 1974. 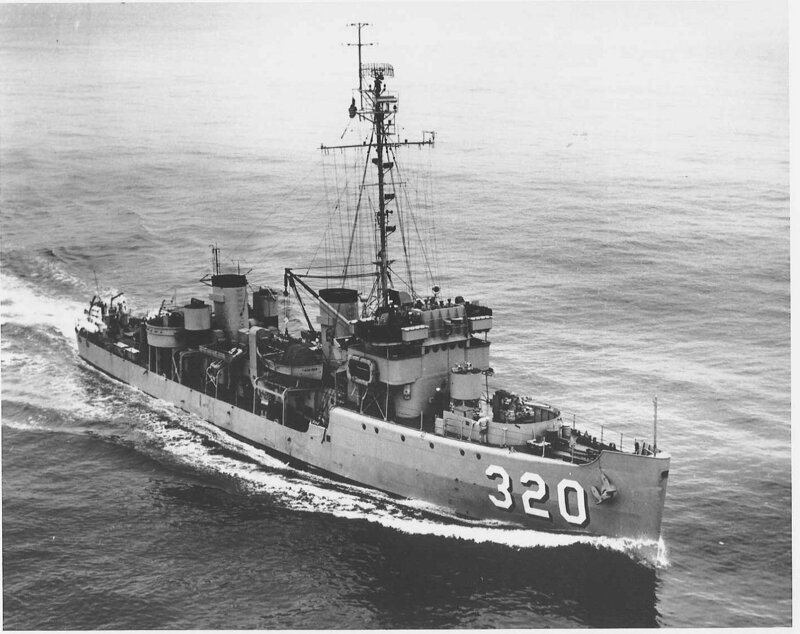 Propulsion: Two 1,988shp Baldwin VO8 diesel electric drive engines, Westinghouse single reduction gear, two shafts. 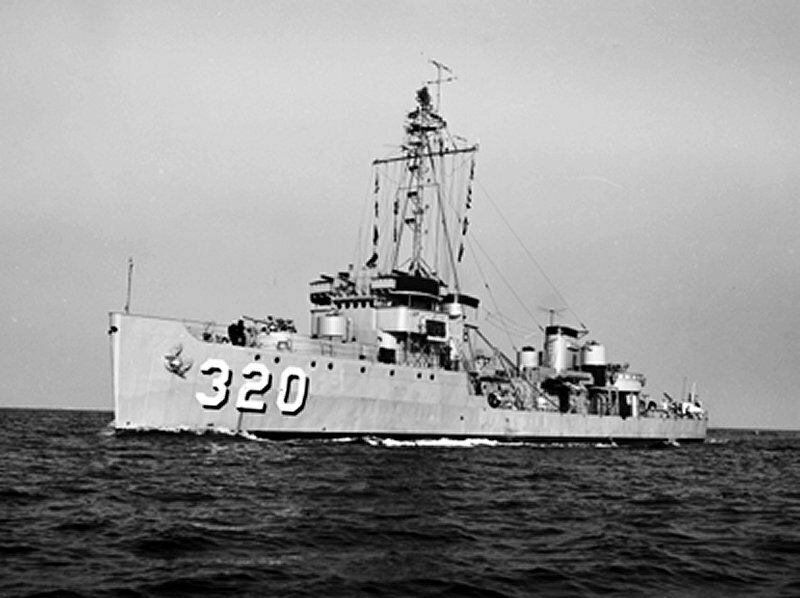 73k 8 October 1952. 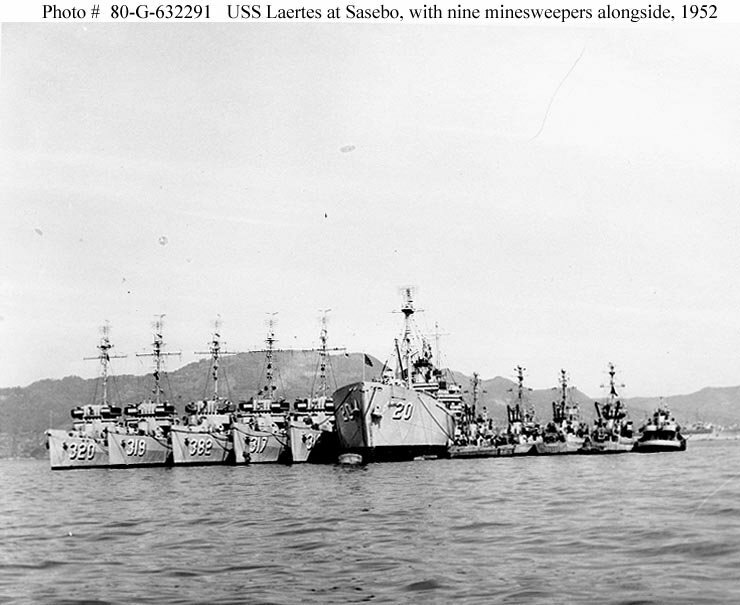 Laertes (AR-20) at Sasebo, Japan, with nine minesweepers and a harbor tug alongside. Ships nested from left to right are: Impeccable; Gladiator (AM-319); Shoveler (AM-382); Defense (AM-317); Devastator (AM-318); Laertes; Condor (AM-5); Kite (AMS-22); Curlew (AMS-8); Chatterer (AMS-40), and Wallacut (YTB-420).